Puerto Rico is such an amazing place. I was blown away be how beautiful it was and how much there was to see and do on the island. 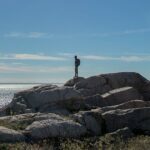 I was only there for 3 days and I packed in as much as I could from sunrise to sunset. 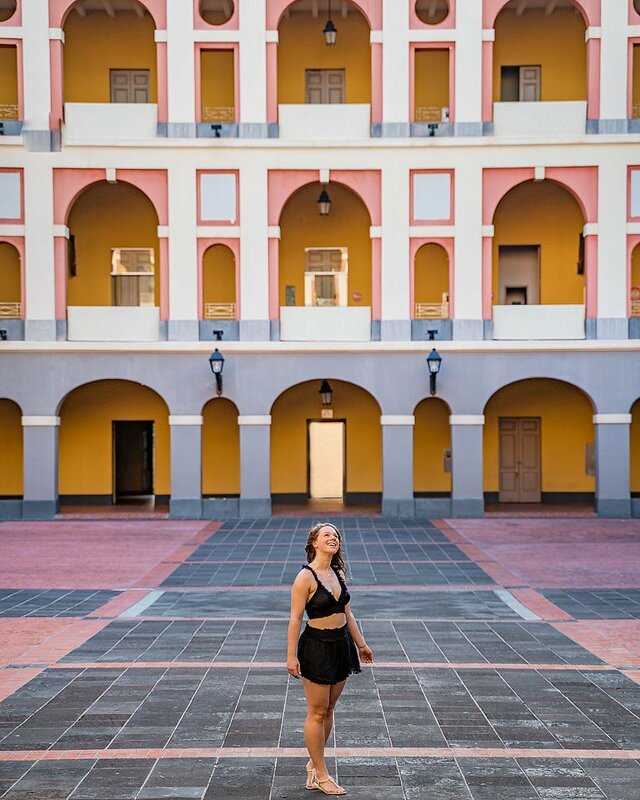 I am happy to share my favorite 14 Instagrammable spots around Puerto Rico. 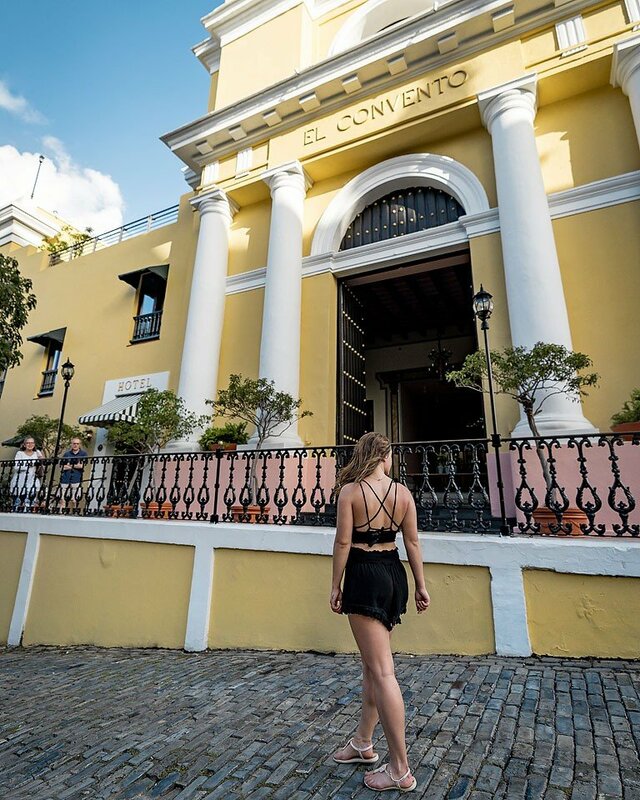 Old San Juan is one of the most instagrammable places on the island! You can find colourful buildings and this art installation of floating umbrellas on Fortaleza Street. It is the perfect place for a pic for the ‘gram. 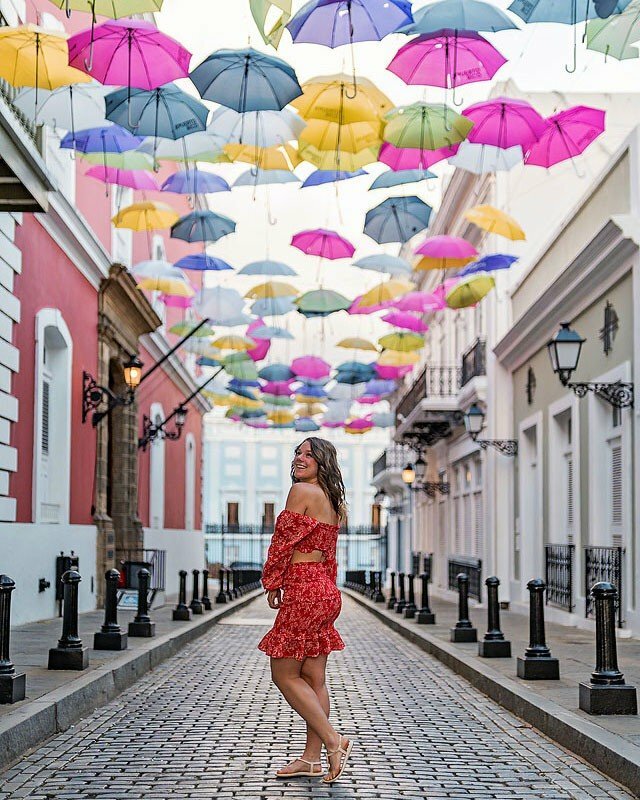 La Perla is just outside the city walls of Old San Juan and is a community that is full of history….and also so much colour! 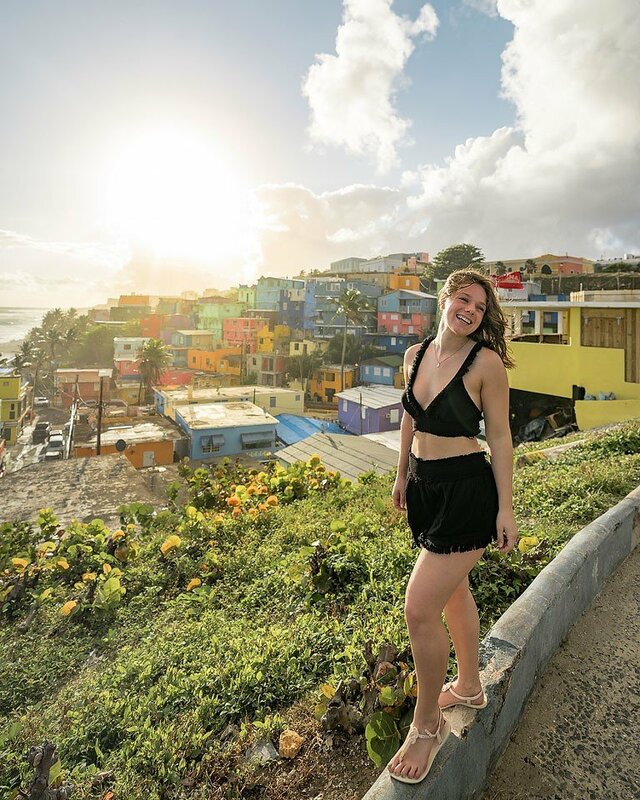 La Perla is located right in between the forts of San Cristobal and El Morro, two of the most significant historic landmarks in Puerto Rico. 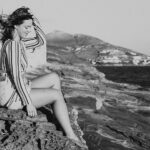 There is so much history and culture on this island! Back in the 19th century, being outside the San Juan city walls was not desirable. There was a slaughterhouse and slaves, homeless, and non-white servants were required to live here. You can see more of La Perla in the music video Despacito by Luis Fonsi which is apparently the most viewed YouTube video of all time. 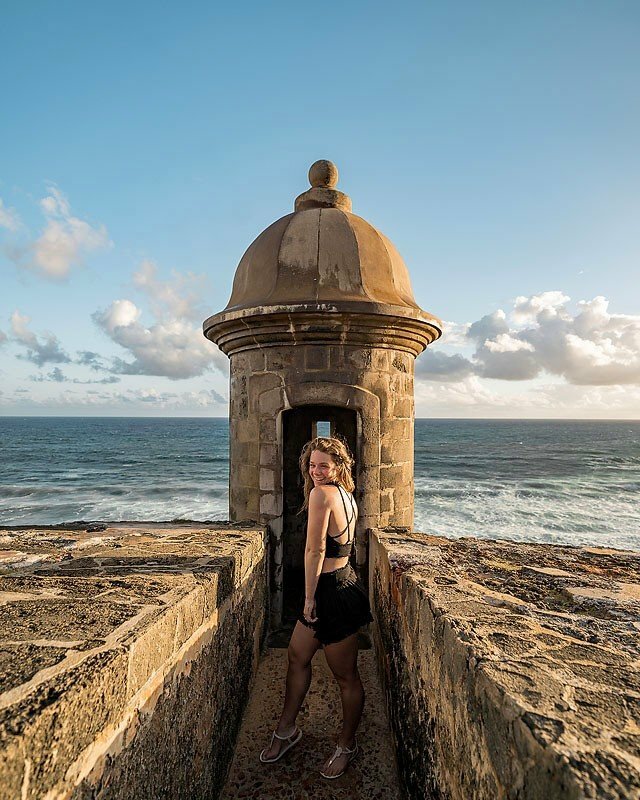 Castillo San Felipe del Morro is one of the most popular and significant landmarks in Puerto Rico. It is also a UNESCO world heritage site. El Morro is right by the water and this fort was built to protect the city from an invasion. If you have time during your visit, I highly recommend that you stop by. Hotel El Convento was built in 1646 as a convent. It housed nuns for 252 years until closing in 1903. It then served as a store, a dance hall and a flophouse before opening as a luxury hotel in 1962. It makes for some stunning images and I love all the history here. 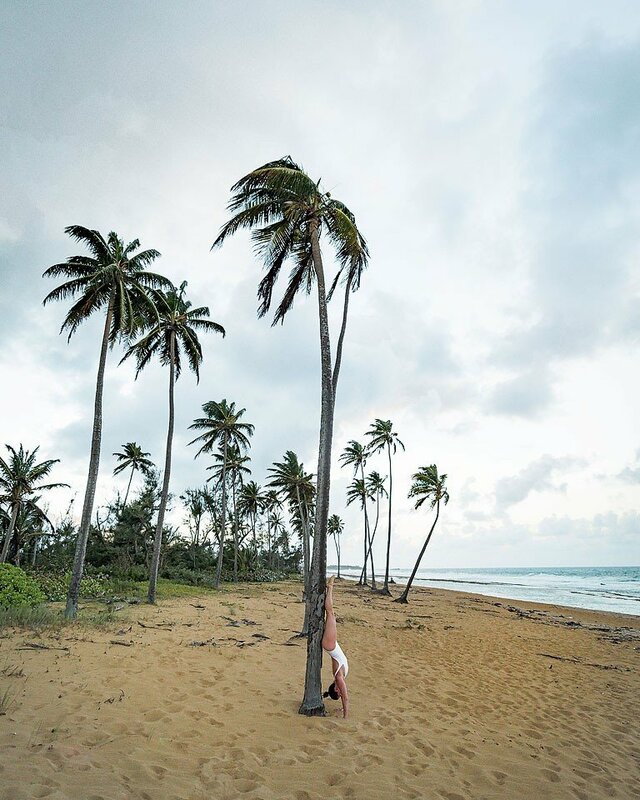 Puerto Rico attracts surfers from all over the world. The beach at the Courtyard Isla Verde is perfect for surfing and surf photos. 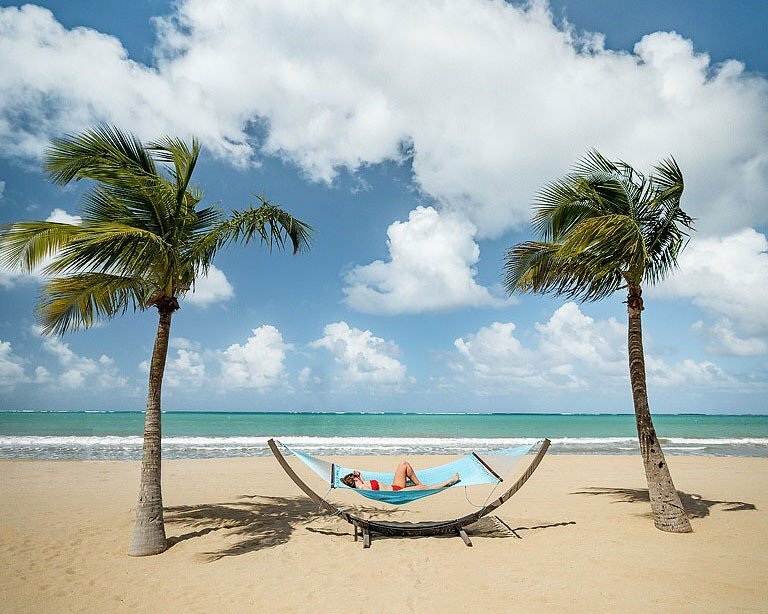 The beach here is called Isla Verde and it is a must visit during your travels. Pinones is a beautiful area and it is just a few minutes east of Isla Verde. It has beaches, mangroves, restaurants and an 11 kilometer long nature trail. It feels like a totally different world than the busy tourist areas of Old San Juan, Isla Verde and Condado. This hike is located between Cayey and Salinas and worth the trip if you enjoy hiking. I wish there wasn’t clouds when we went, but such is life. Here you get great 360° views of the mountains, surrounding towns, and the Caribbean Sea. You can also see, Arbol Solitario (or Lonely Tree) but we didn’t go quite that far. Next trip for sure! 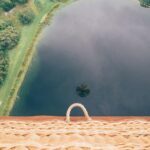 Charco Azul is a great place to visit if you love natural swimming pools…which I am always excited to visit when I travel. Charco Azul (which means blue pond in English) is one of Puerto Rico’s most famous ones and when you see the colour you will see where it gets its name. It is located in the middle of the Carite Forest about 20 minutes from Cayey. Gozalandia Falls (or Las Cataratas) was one of my favorite places in Puerto Rico. 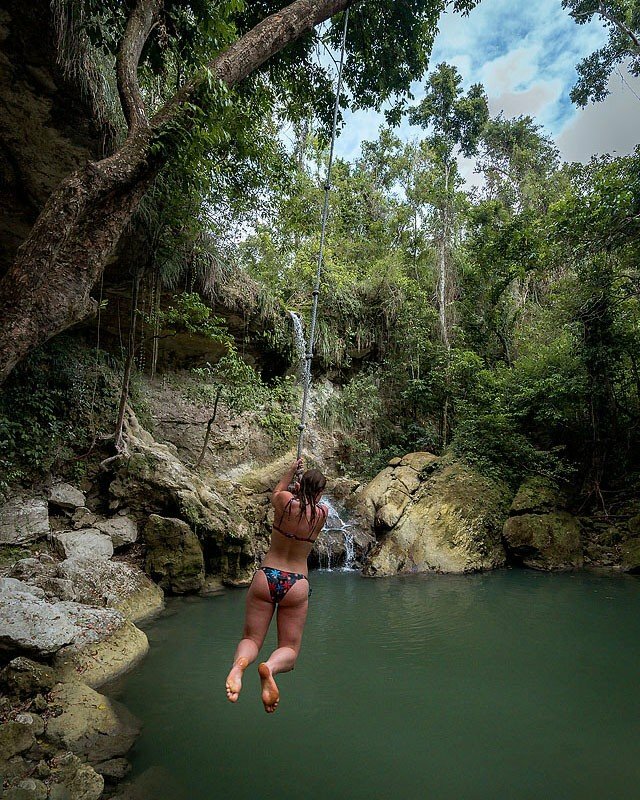 There are two beautiful waterfalls here… one has a rope swing and the other you can do cliff jumping. 🙂 It is located in the town of San Sebastian and it is a great place to go for the day to enjoy the water away from tourists. 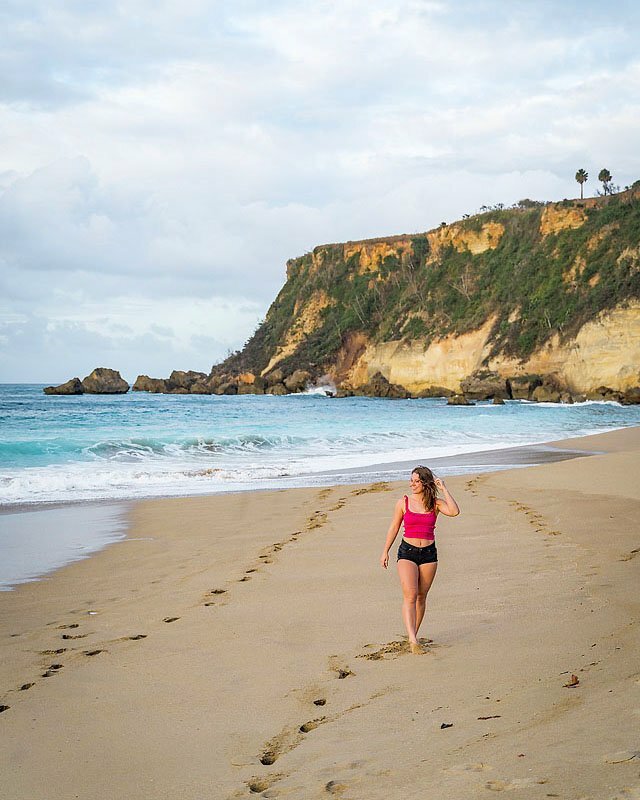 Borinquen Beach in Aguadilla is one of the most stunning beaches I have ever been to. It is an expansive beach with just stunning views. I recommended heading here for sunset. 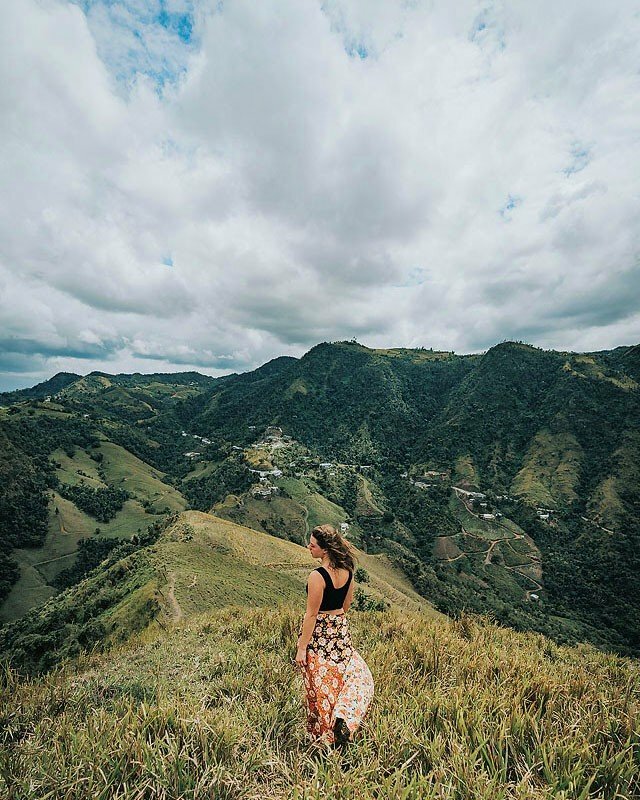 Cerro Mime, which his located in Orocovis County is a great hike for those that enjoy seeing views from above. Is am easy hike that only takes 20 minutes and at the top you see lush, green mountains…which was a very unexpected view. Who knew Puerto Rico had mountains!?! Cascada Las Delicias is a picture perfect tropical waterfall and I am so glad that we made it here! 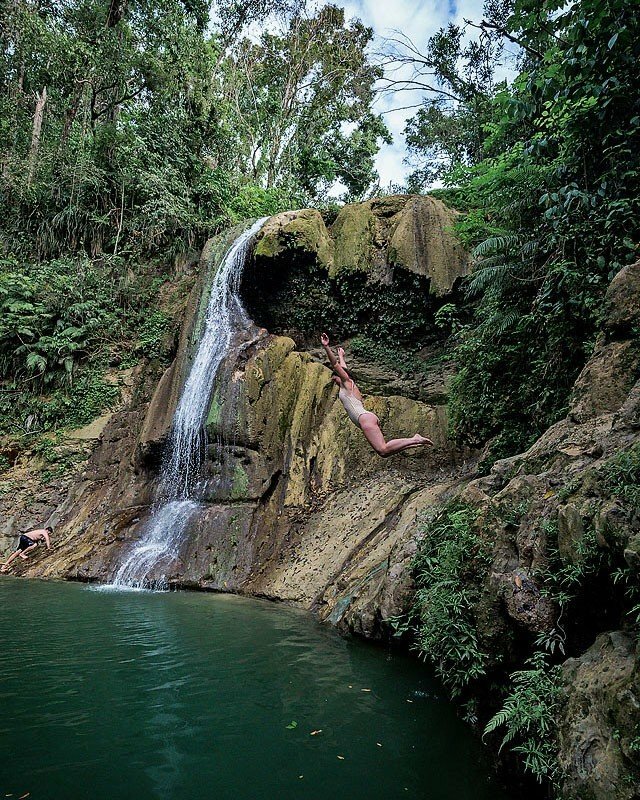 This waterfall is located in the town of Ciales, which is in the center of the island. This tropical oasis is a short walk (just off the road) and the water is so refreshing! La Concha Resort has multiple infinity pools but I think this one was my favorite with the wind-sculpted palm trees hugging the ocean! 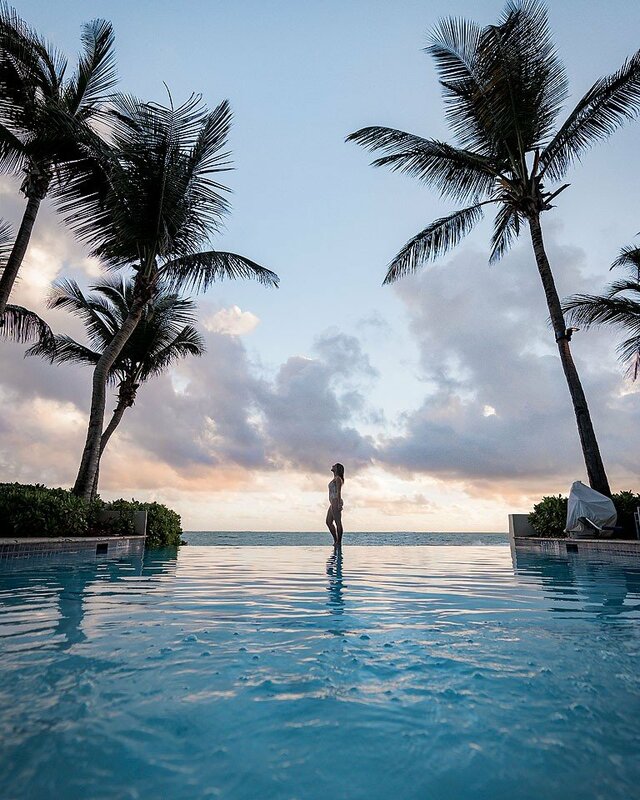 Resorts are a great place to get some beautiful images for Instagram. This post has been sponsored by Hotel El Convento and La Concha Resort. All thoughts and opinions are my own. Thank you for supporting the brands that support me.